We made our presentation to the Heart Hospital of Austin. If you recall, we designed some vegetarian menu items for them to beef up their meat-free offerings. And we did a fantastic job! Some tastings were provided. 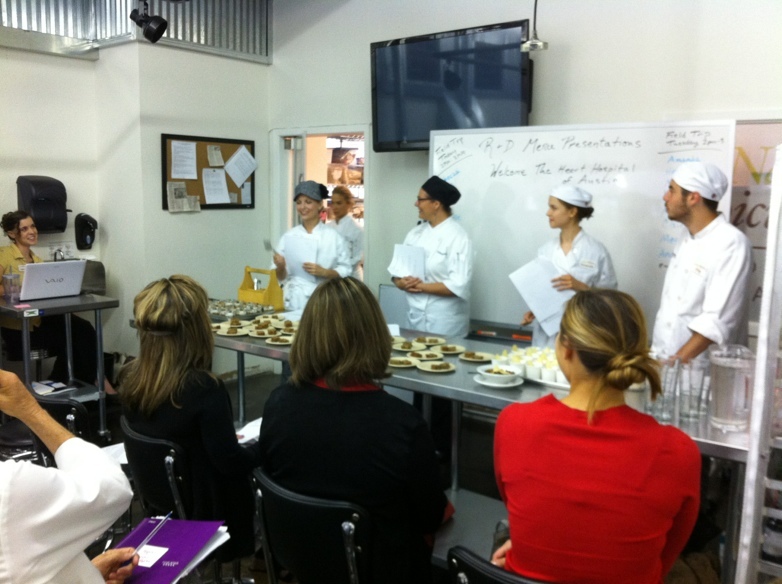 Below: Some students presenting on the menu items they designed. Below: The photos-of-your-food movement was in full effect, even among hospital staff. 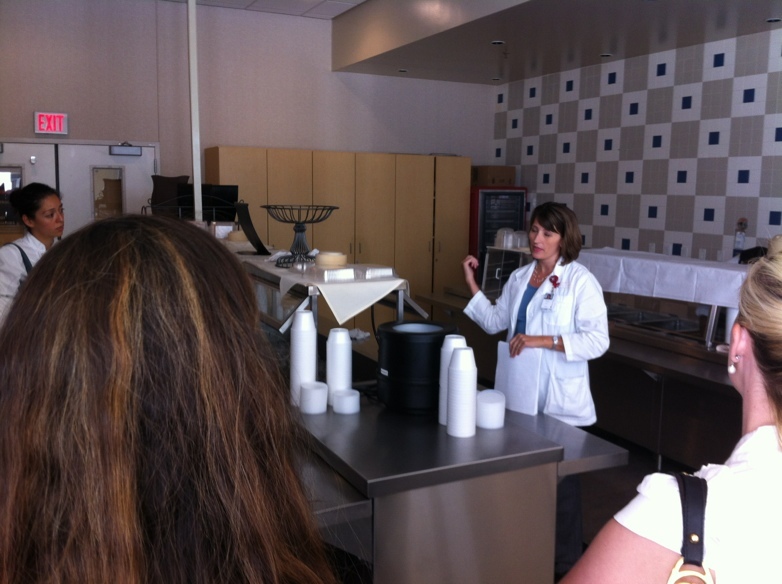 Below: Megan Anderson, the hospital dietitian, showed us around the meal service area and the kitchen. 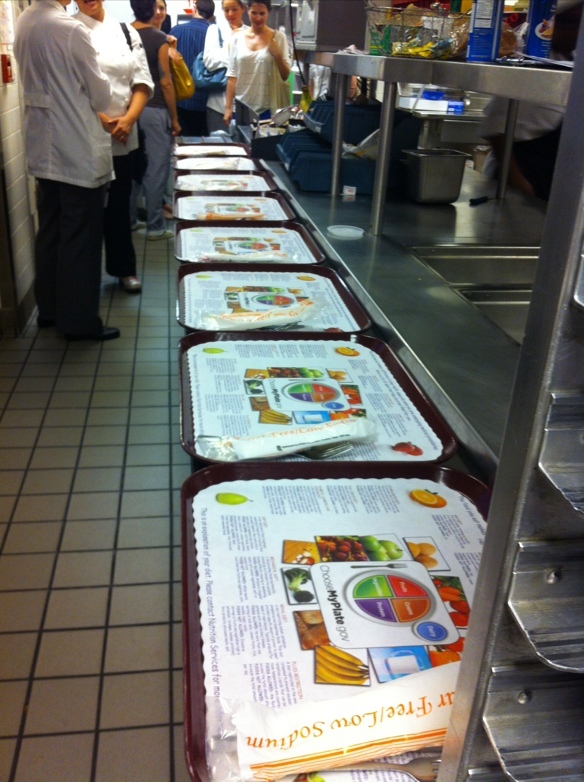 Below: Meal trays with the USDA “myplate” imagery. Below: The lead cook at the hospital, whose name I’m sorry to have forgotten after this time, gave us a tour of the kitchen. She clearly was proud of the work they do, as well she should be. They feed a lot of people in a short amount of time. They keep the kitchen incredibly clean, as well. A lot of us, however, were surprised at how differently such an industrial kitchen functions compared to our little learning kitchen where every little item, including the hand-grated pink Himalayan salt (which – gasp – not everyone has), is done to order and made from scratch. 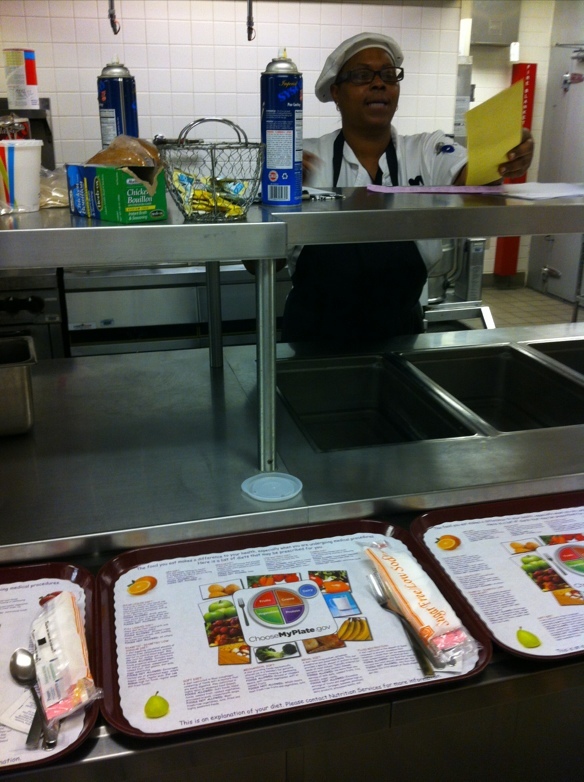 We learned a lot about the realities of an mass-production kitchen where the target audience is sick and recovering. We also learned a bit about the realities of limited resources and time. I think it will be a challenge for them to implement many of the menu items we proposed. But it’s heartening that they are thinking about their plant-based options and they seemed to be excited by what we showed them. 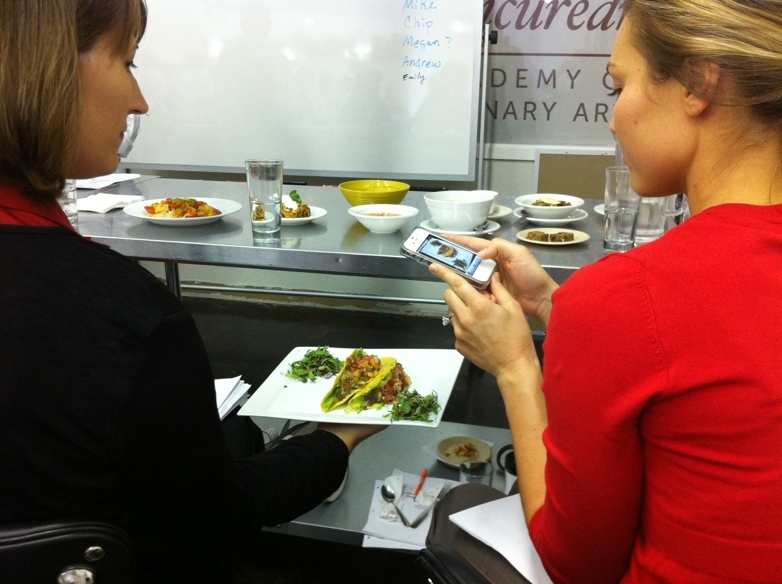 This entry was posted in The Natural Epicurean (Culinary School) by austinhealthychef. Bookmark the permalink.